To join our practice please call us on 0121 705 2705, and we will book you in with a dentist for a new patient assessment. New patients wishing to join our practice should call us on 0121 705 2705, and we will book you in with a dentist for a new patient assessment. We will ask you to arrive 10 minutes prior to your appointment to fill out a medical history form. Comprehensive treatment is carried out to reduce negative occurrences like, fracture, infection, broken fillings, receding gums and gum disease. The mouth is treated as a functioning system rather that treating individual teeth as they break. To ensure that the soft tissues are healthy, oral cancer screening is carried out to help detect cancerous and pre-cancerous areas. If any abnormalities are detected patients are referred to the relevant specialist. Treatment recommendations are based on ideal treatments for the tooth and the system to ensure predictability and longevity. Everything suggested is based on current and passed evidence and research in that particular field of dentistry. Treatment options are discussed in full. Any patients attending for the new patient assessment at smile concepts are not obliged to go ahead with any treatment recommended. Treatment acceptance is based on understanding and education so that all our patients have the opportunity to make informed decisions regarding their own health. Initial Direct Access Appointment will take approx. 40 mins so that the Hygienist/therapist can undertake a thorough assessment of your gum (periodontal) health. 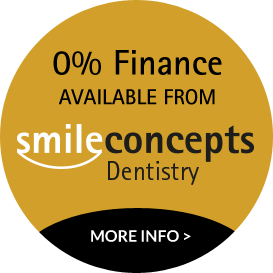 At Smile Concepts we are delighted to inform you that your will receive the highest standard of care as our hygienist/therapist are able to use the latest EMS Airflow Master Perio, which has been specifically created for sub & supra-gingival prophylaxis, removing plaque biofilm from natural teeth and implant surfaces. It combines the two technologies in one – Air-Flow using the well-known Original Air-Polishing Technology and the Perio-Flow Technology that allows safe subgingival treatment. What is Direct Access work? Dental Hygienists and Dental Therapists are permitted to treat patients without a prior examination by a dentist. This means that we can now welcome patients who only want to see our Dental Hygienist without having to register with the Dentists and have an examination beforehand. If our Dental Hygienist or Dental Therapist feel that you would benefit from a dental examination by a dentist, you will be advised of this. *Please note: an appointment via direct access to your dental therapist or hygienist is not an alternative to seeing the dentist on a regular basis. Rather, it’s a valuable addition.